Menu changes often seem to come with great fanfare, as companies seek to gain publicity for their latest and greatest offerings. But in McDonald’s continuing efforts to revise its offerings to appeal to modern consumers, the shifting menu reflects a variety of approaches to new product introductions, from big fanfare to quiet entries, all premised on the strategic idea that different methods work best for different introductions. For example, as we have discussed before in these abstracts, all-day breakfast started small, then became a massive, nationally advertised introduction. But in the past couple of years, the restaurant chain also has more quietly shifted the ingredients and formulation of nearly half of the products on its menu, only announcing the changes after they had been implemented. In this category, McDonald’s notes that its sandwich buns no longer contain high fructose corn syrup, and its sausage, eggs, and Chicken McNuggets no longer include any artificial preservatives. For its chicken products, McDonald’s initially announced that it would phase out the use of meat treated with antibiotics by 2017, then made the change even faster than promised. The varying approaches reflect McDonald’s careful analysis of what customers want. Fast-food patrons call for healthier, “cleaner” food options, but they also demand that their Big Macs and Filet ‘O Fish sandwiches taste as great as they always have. Accordingly, revising the formulations of some menu favorites required a somewhat more subtle approach. Once the changes had been implemented and accepted widely, McDonald’s could announce them widely but still guarantee that it would not upset diners who liked things the way they were. Another factor to consider for comprehensive menu changes is the reaction of the franchise owners. To eliminate artificial preservatives from its McNuggets for example, McDonald’s had to convince each of its more than 14,000 franchisees to change the oil in which they fried the crispy treats. This change in turn required some operational revisions by the individual restaurants, which now must replace their fryer oil more often. By making the change slowly and quietly, McDonald’s gave the individual restaurant owners enough time and space to revise their practices and retrain their employees. Finally, some menu innovations start on a small scale and stay that way. All-day breakfast initially started in just a few restaurants, but its popularity led McDonald’s to roll it out nationwide. The lobster rolls available in New England McDonald’s also have been popular, but their appeal, not to mention their supply chain, is unlikely to translate well to the rest of the nation. Breakfast bowls are popular and have spread throughout franchise locations in Southern California, but there are no plans to go further than that. Instead, consumers seeking breakfast can enjoy their new and improved Egg McMuffin—the preparation of which now uses butter instead of margarine and includes a new step that breaks the yolk to prevent runny sandwiches. Whose preferences does McDonald’s consider when making menu changes? Why does McDonald’s introduce some menu items with a lot of fanfare but make other changes more quietly? 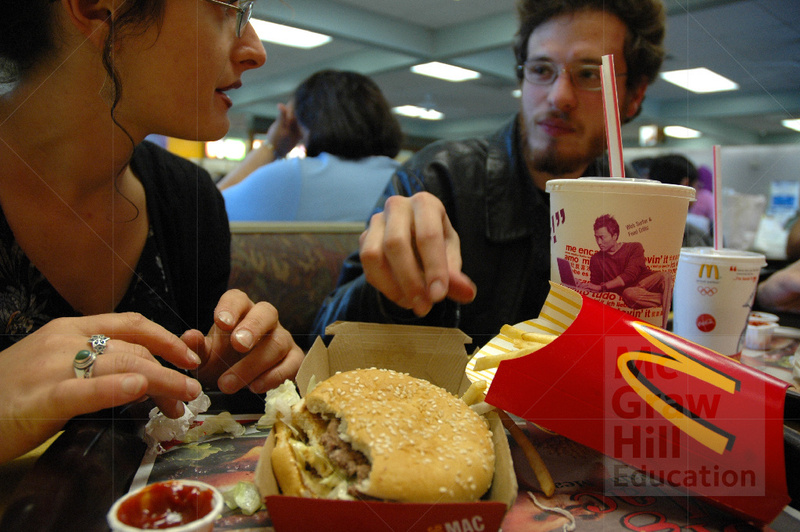 How does a regional roll out of a menu innovation help McDonald’s plan?